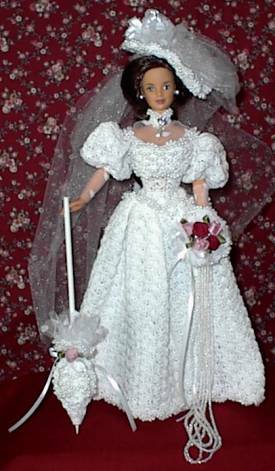 Comes with gown, hat, veil, gloves, parasol, bouquet, doll and doll stand. 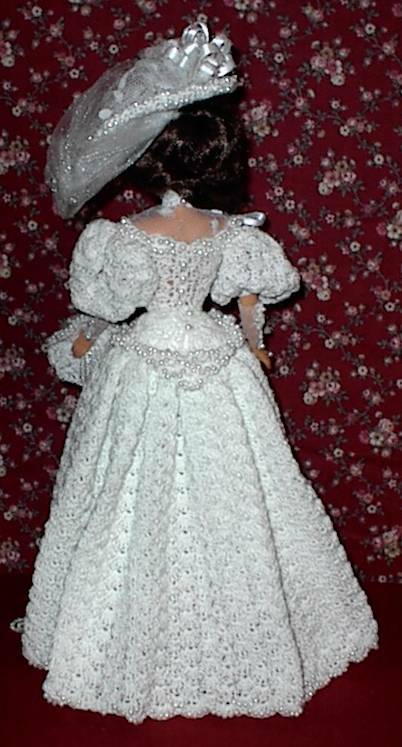 The gown is beaded at the bodice and hem. She has on pearl earrings and a drop pearl accent on her collar. This one is one of my favorites. I've made three of these.